Even if shopping is one of your favorite activities, it can be hard to find the time to buy new clothes. With the challenge of balancing hectic work schedules and time spent with family and friends, shopping is often at the bottom of the list. What if there was an effortless way to get outfits shipped right to your door? Even better, what if each piece of clothing was chosen specifically for you according to your personal taste, style, and sizing? This is where Stitch Fix fits in—a clothing subscription box that promises to be “Your partner in personal style,” constantly evolving to match your tastes, your needs, and your lifestyle. Maybe you’ve listened to a few Stitch Fix reviews from your family members or your closest friends, or maybe you’ve never heard of the Stitch Fix clothing subscription box before. No matter where you fall, our Stitch Fix review aims to cover everything you need to know to make the best decision for your fashion—and your wallet. What Stitch Fix brands are offered? What are the average Stitch Fix prices? What do Stitch Fix reviews say? Read on for our in-depth Stitch Fix review of this widely popular clothing subscription box service, including their company history, the basic components of the service, and Stitch Fix reviews from actual subscribers. Stitch Fix Review | What is Stitch Fix? For those who are wondering “What is Stitch Fix,” let’s look into the company and see how it has grown to be one of the most popular clothing subscription boxes available today. While many startups struggle to turn a profit and rely solely on venture capitalist funding, Stitch Fix has only received $42 million in funding, and reported sales of $730 million in 2016. The key to their success seems to be firmly rooted in their company values, which seem to defy modern shopping expectations. Stitch Fix prices are not competitively low—rather, what keeps propelling them forward is the convenience and personalized styling that comes with their clothing subscription box. 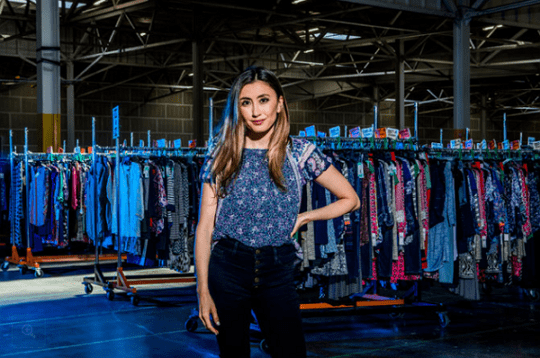 Stitch Fix was founded in 2011 by Katrina Lake, a young entrepreneur who built her company based on the premise that convenience is more important than price. Rather than offer customers clearance pricing, Stitch Fix revolves around the idea that directly bringing fashion to the customer is more worthwhile than shopping for hours and sorting through racks, only to return dozens of items in the end. While Stitch Fix initially focused solely on women’s clothing, today they offer options for maternity wear, plus sizes, and even men’s clothing. Even with the addition of the men’s clothing subscription box, women are at the heart and soul of everything Stitch Fix does. As reported in a Stitch Fix review by Forbes, “[their] core customer is a woman between 25 and 45, comfortable at prices of $55 and up,” meaning that the Stitch Fix clothing subscription box is poised to capture a $40 billion piece of the apparel and footwear market. By relying on a data-driven business model, the success of Stitch Fix revolves around enhanced algorithms, 3,400 personal stylists, personalized attention, and a belief that convenience is often more valuable than price. StitchFix Review | How Does Stitch Fix Work? One answer to the question, “How does Stitch Fix work?” can be found primarily in their heavy—and expert—use of algorithms. New subscribers to their clothing subscription box fill out an extensive survey, called the Style Profile. This survey details their personal style preferences, measurements, lifestyle needs, and price points. The data from the Style Profile is forwarded along to a Stitch Fix personal stylist online, who uses that information to statistically identify the items that each subscriber is most likely to keep. A second answer to “How does Stitch Fix work?” can be found in the basic premise of how the use of a personal stylist online and a clothing subscription box fits the needs of their customer base. Stylists select five items of clothing, shoes, and accessories for each clothing subscription box that is ordered. Within three days, subscribers can choose to keep items they love and send the rest back for free using a prepaid envelope. A Stitch Fix clothing subscription box can be sent on a one-time basis or regularly, depending on personal preference. To order, all subscribers need to do is select a date from the calendar to tell their stylist when they want their box delivered, making it easy to plan shipments of new outfits. After going through each clothing subscription box, subscribers have the opportunity to review and rate each item that they received. This is a way to provide direct feedback to the stylist, telling them what worked and what didn’t, and allowing them to adjust the next box accordingly. What Does the Style Profile Look Like? The Style Profile asks you to provide specific information on your proportions to your personal stylist online, which includes your arms, torso, legs, hips, and shoulders. Having detailed information about your specific proportions makes finding the right Stitch Fix outfits much easier, particularly with so many varying body shapes and sizes. Part of what makes Stitch Fix outfits so successful is that the data focuses not just on numbered measurements, but also on preferences. Our Stitch Fix review found that questions like “How do you prefer your clothes to fit your top half?” and “How do you prefer clothes to fit your bottom half?” go a long way in ensuring that Stitch Fix outfits not only look great, but feel great as well. In a section labeled, “What do you like to flaunt? What would you rather downplay?” subscribers get the opportunity to express their personal preferences about coverage, form, and fit. This includes detailing specific preferences on arms, shoulders, back, cleavage, midsection, rear, and legs. A keen attention to detail is perhaps a large part of why so many Stitch Fix reviews applaud the contents of their clothing subscription box each month. Before receiving their first clothing subscription box, Stitch Fix customers are asked to provide information about how their lifestyle affects their clothing choices. For example, if you mainly wear Work/Business casual attire, your personal stylist online will take that into account. Other lifestyle factors include Cocktail/Wedding/Event, Laid-Back Casual, and Date Night/Night Out. Ultimately, our Stitch Fix review found that the process of creating a personal style profile was much more involved than expected—which is a good thing for anyone looking to try out a personal stylist online. Each section of the survey was equally as thoughtful as it was thorough, and it certainly seems to be truly setting subscribers up for success with a personalized clothing subscription box. StitchFix Review | What Stitch Fix Brands are Offered? Currently, Stitch Fix offers 450 brands ranging from small boutique labels to larger, more well-known designers. StitchFix Review | How Much is Stitch Fix? What are the Average Stitch Fix Prices? Each clothing subscription box from Stitch Fix comes with free shipping, meaning that the only cost comes from a $20 styling fee. If you want to purchase any items from the clothing subscription box, Stitch Fix applies the $20 styling fee directly to your order as a credit. If, however, you do not purchase any items from a box, it’s important to know that the styling fee cannot be refunded or rolled over to your next order. One of the most appealing aspects of this clothing subscription box comes from free Stitch Fix returns and shipping. A prepaid mailing envelope is included with every order, making the return process as simple and hassle-free as possible. Of course, the only catch is that returns must be mailed out within three days of receiving the clothing subscription box—a relatively small window of time that could be troublesome for those who are prone to procrastination. The average Stitch Fix prices for clothes and accessories is $55, though individual prices will vary greatly. In a recent press release, Stitch Fix states that per item Stitch Fix prices can range anywhere between $38-$400. 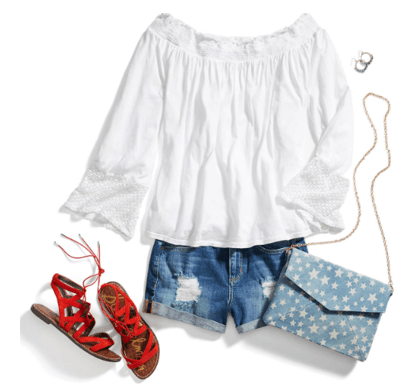 While filling out a Style Profile, subscribers have the option to set different price limits for styles of clothing and accessories, which can potentially make their average Stitch Fix prices higher or lower. If you decide that you love all the items in your box, you can purchase them all at a 25% dicount, an option that should appeal to thriftier shoppers. Although Stitch Fix prices may be a little higher than most, their focus is on convenience and personal styling rather than low prices—a feature which still applies to many shoppers. I’m not a bargain shopper. If I like it, I’m just going to buy it, because my time is worth that…There’s also the element of surprise and the fact that you may get something you wouldn’t pick out at a store. Part of answering the question, “Is Stitch Fix worth it?” comes from looking at how satisfied subscribers are with their Stitch Fix outfits, the Stitch Fix cost, and the overall experience of having a personal stylist online. In this section, we’ll look at Stitch Fix reviews from past and present subscribers to see whether they would recommend this clothing subscription box service. Site Jabber has a total of 35 Stitch Fix reviews and an overall rating of 2 stars from past and present Stitch Fix subscribers. Unfortunately, most of the Stitch Fix reviews on Site Jabber are negative. A common thread among the critical Stitch Fix reviews was that the clothes were simply not suited to their taste—or, for subscribers who tried out more than one box, they felt as though their stylist did not listen to any of their feedback. Quality was questionable at best, and I did not opt for the “cheaper the better” option. I was very specific about my style, even gave access to my Pinterest board. 1st fix I sent detailed review of everything I didn’t keep and why. Same with 2nd fix, in addition I called the customer service line (which was incredibly difficult to find online) and gave her detailed instructions as well. The 3rd fix was the worst one yet. I don’t know what more I can do when I tell them multiple times that I don’t like jeans with rips, and they send me ripped jeans. In addition, in order to speak to a customer service representative you have to really hunt for it on the internet, as they do not post it anywhere on their websites. A highly disappointing experience. On the other hand, there are still positive Stitch Fix reviews listed on the site. A few common themes among these StitchFix reviews were high quality clothing, wide variety of items, and the convenience of not having to walk through a store. Well worth trying if you are undecided. The clothing is nice quality, and having someone select items for you is better than shopping with friends! Out of seven boxes so far, I’ve kept one item from only one box, 2 boxes where all 5 found a new home with me, and the other boxes, range 2-3 items. Al the clothing I’ve kept have become basic go-to items and are worn all the time. I am enjoying the free time formerly spend shopping on more productive or useful activities. Pricewise…maybe higher than TJ Maxx or Marshalls but not having to pick over the racks at those stores, looking at sad hanger worn pulled or ripped clothing is worth it to me. Trust Pilot has a total of 6 Stitch Fix reviews and an overall rating of 8.1 out of 10. Although there are not many Stitch Fix reviews on this site, it’s worth noting that four Stitch Fix reviewers gave a full 5-star rating. A few common elements between the positive Stitch Fix reviews include great customer service, quality clothing, and high satisfaction with their personal stylist online. I’ve been doing stitch fix for 5 months now and absolutely love it. Each time you receive your stitch it gets better and better. Its [sic] well worth the money and your stylist seems to get it right every time. Plus its [sic] exciting to get your package and see what’s inside. Interestingly enough, Trust Pilot holds a glowing Stitch Fix review on the Stitch Fix Men box, new in 2017. The negative Stitch Fix reviews had two common themes—they felt as though the Stitch Fix clothing that they received was overpriced, and that their stylist was not listening to their fashion preferences. Stitch Fix has been accredited with the Better Business Bureau since 2015, and has an ‘A+’ rating. Although 57 percent of the Stitch Fix reviews are positive, there are a fair amount of complaints to consider before signing up for Stitch Fix. Out of a total of 32 customer complaints, 12 were associated with billing issues. Nearly every single negative Stitch Fix review dealt with the $20 styling fee, as it does not get refunded or rolled over to your next clothing subscription box. Stitch Fix does publicly state their styling fee policy, though many Stitch Fix reviewers felt as though they were misled about the fee. For those considering signing up for Stitch Fix, this is an important Stitch Fix cost to consider. Conclusion: Is Stitch Fix Worth It? As demonstrated in our Stitch Fix review, Stitch Fix reviews from customers tend to be a bit of a mixed bag—subscribers are either highly satisfied with the clothing subscription box service, or they are highly disappointed. With new Stitch Fix reviews and an ever-increasing customer base, there’s no doubt that the Stitch Fix clothing subscription box isn’t going anywhere—at least not any time soon. If the thought of getting handpicked items each month is an exciting one—and you’re prepared for Stitch Fix prices—then the Stitch Fix cost could be well worth it. Who knows—it’s entirely possible that you could find your next great outfit from your new personal stylist online at Stitch Fix!